Victorian Government departments, agencies and offices are banding together to attract people who want to do meaningful work that matters. 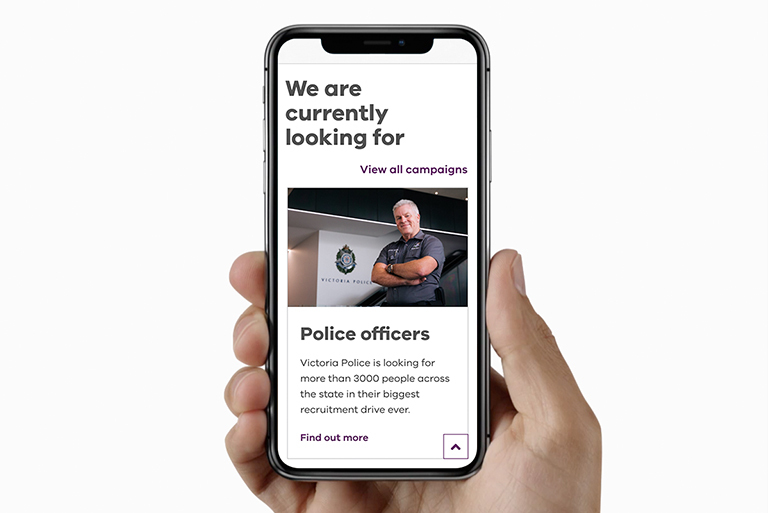 Their message “be part of the bigger picture” encourages people to join the public sector for connection to social purpose. 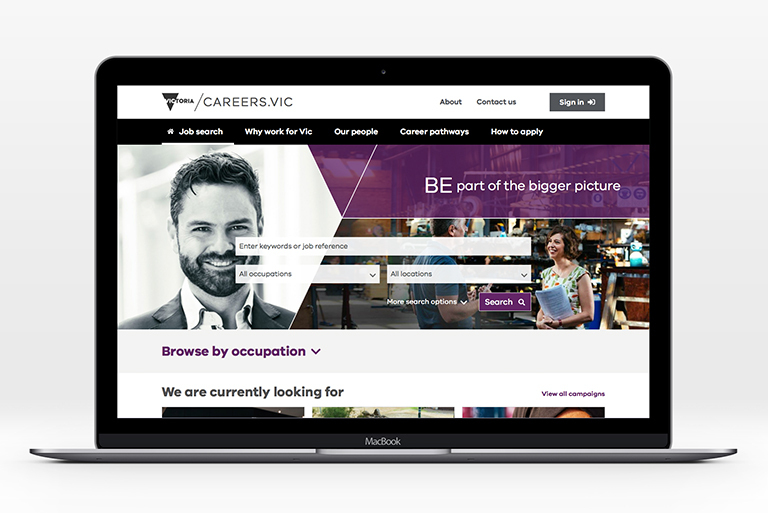 VPSC redesigned the careers website to create a better experience for job seekers and a central recruitment hub for public sector employers. Job seekers will notice it’s easier to search, filter and apply for roles. Employers will be able to promote jobs and recruitment campaigns to the one million people who browse the site every year. 35% of public sector employers already use the site to advertise available roles. Ongoing improvements to the site’s e-recruitment functionality will see this expand to 80% by June 2018. 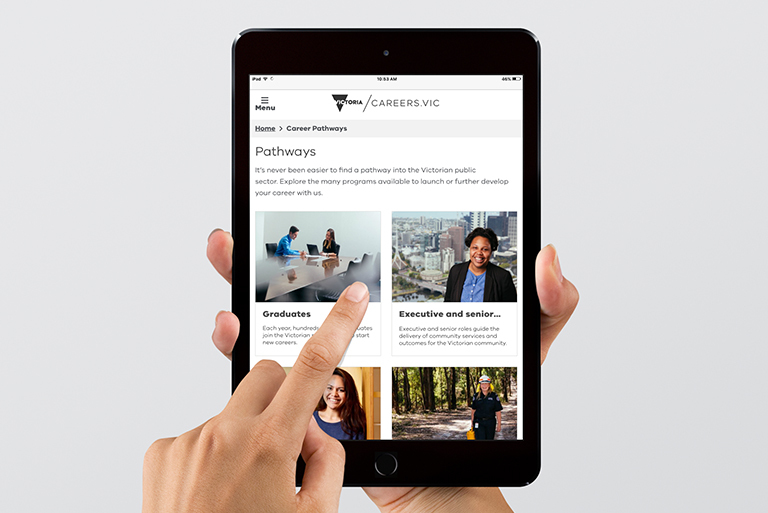 The new careers website works seamlessly on mobile devices and is more accessible to people with disability. It provides a clear view of pathways into the public sector including, cadetship, graduate and Aboriginal employment programs. Victoria is an employer of choice and this platform helps people understand why. There are more than 2000 jobs currently advertised. It just goes to show the breadth of opportunity we offer –both in terms of making a difference to your community and building a career. This breadth of opportunity is unique to the public sector and unmatched by private employers. It’s very cool to hear someone talk about something good that the Government is doing and be able to think “I worked on that”. It’s amazing to see even small things change and knowing that I played a part in making that happen. People are the public sector’s greatest asset.